Share your thoughts. Hear from others. Build CommUNITY. 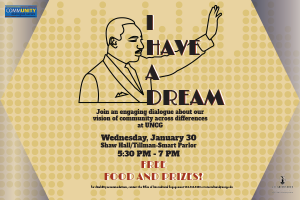 The CommUNITY Dialogue Series is a campus-wide monthly opportunity for UNCG students to build relationships across difference while discussing hot topics related to diversity and inclusion affecting our UNCG community. February 6 | EUC o62- Office of Intercultural Engagement | 5:30pm- 7:00pm | Why do all the ______ students sit together in the cafeteria? This engaging conversation will explore the concept of self-love while having multiple intersecting identities often marginalized in society. 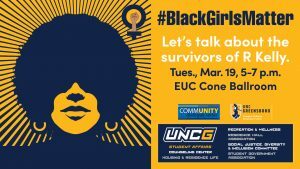 This engaging conversation about the survivors of R.Kelly and other matters of sexual violence against Black Women. Attend for a chance to win a FREE PRIZE! 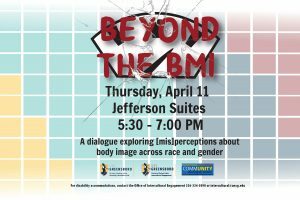 A dialogue exploring [mis]perceptions about body image across race and gender. April 16 | EUC o62- Office of Intercultural Engagement | 12:00pm-1:30pm | Latino, Latina, Latinx…What’s the Difference? 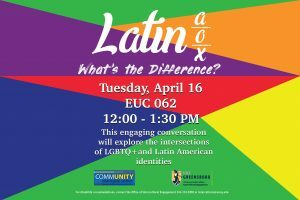 This engaging conversation will explore recognizing the intersections of LGBTQ+ and Latin American identities.